You may not think all that much about your asphalt driveway or parking lot, at least not until you hit that pothole. Damage to asphalt surfaces are inevitable. 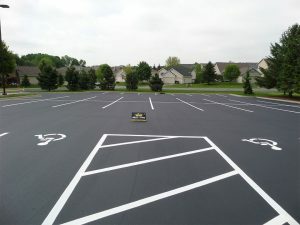 By definition, asphalt surfaces exist mostly outside, where they are punished every second of every day by wind, rain, snow, heat, cold, and traffic. Time, in combination with those natural forces, gradually wears away at asphalt surfaces. However, asphalt surfaces are also subject to more acute punishment such as when a heavy delivery truck rolls over the edge and creates a new series of cracks. Sick of driving over that same pothole every day when entering and leaving your driveway? Have you gotten one too many complaints from your clients about the potholes throughout your parking lot? 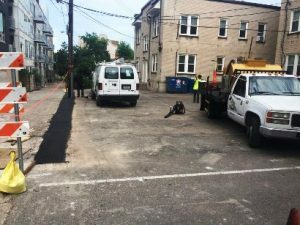 Rather than ignoring the pothole issue that you have on your residential or commercial property, it’s time for you to get these potholes repaired. 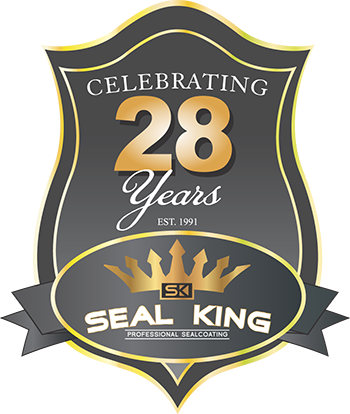 At Seal King Professional Sealcoating, we specialize in pothole repairs. 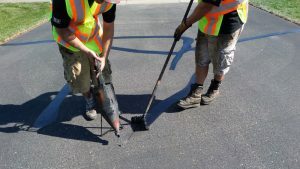 The best part about teaming up with our asphalt experts is that our pothole repairs are the highest quality around, while still being very affordable. Simply put, the quicker that you get your potholes repaired, the better. 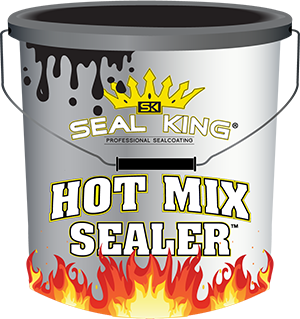 Want to keep your asphalt pavement looking great and lasting as long as possible? Professional asphalt maintenance, repair and rehabilitation is a great way to protect your investment and get the longest lifespan without having to spend the time and money on replacing worn out asphalt. As the seasons make the change over from fall to winter, Winsonsin residents must brace themselves for cold and snow. 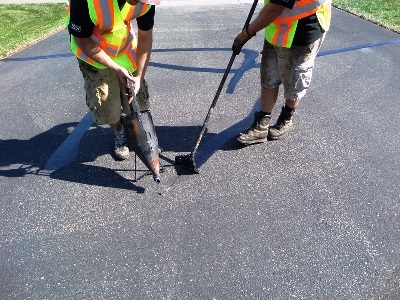 Road chemicals can make asphalt less slippery for driving but they can do a real job on the blacktop surface. How’s your commercial parking lot holding up these days? Have you recently received complaints from customers or clients about the potholes within your parking lot? Don’t put a sour taste in your client’s mouth the first time they come around because of your poorly functioning parking lot. 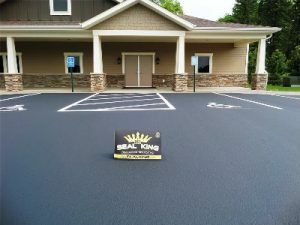 Instead, let our dedicated commercial parking lot repair team at Seal King Professional Sealcoating handle all of your repair needs. There is just something about a parking lot that looks fresh, clean and smooth. This look will surely leave a great first impression with your clients or customers.